For endurance athletes committed to better performance, smart nutrition can make the difference between a new personal best or bonking into a disastrous race result. 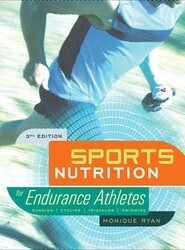 This title answers questions on fueling, post workout recovery nutrition, weight loss, ergogenic aids, vitamins and minerals, and supplements. 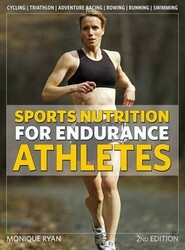 Provides nutrition guidelines to boost athletic performance in seven of the endurance sports. 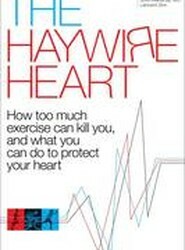 This title offers strategies for improved athletic performance with sport-specific guidelines for endurance sports - triathlon, cycling, mountain biking, cyclo-cross, swimming, distance running, and rowing. Helps cyclists of various ability levels to prevent, diagnose, treat, and recover from injuries. 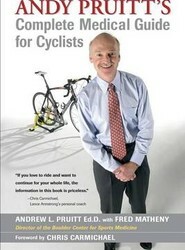 This book covers cyclists literally from head to toe with medical advice. It describes the injuries most common to cycling and helps cyclists pinpoint symptoms, identify the cause, and find proven remedies to get them back in the saddle.